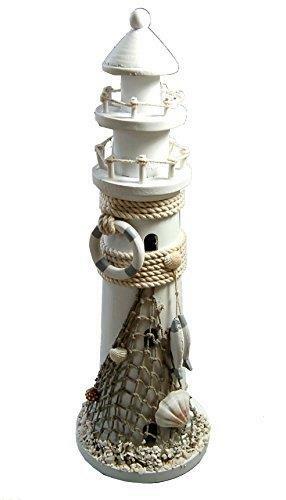 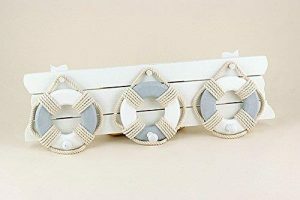 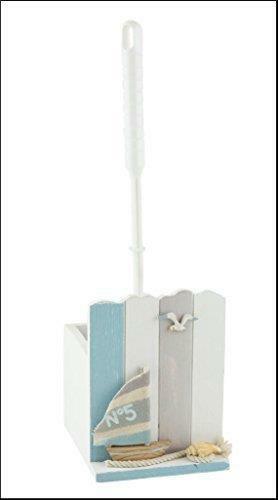 White painted natural wooden rustic looking lighthouse decorated with grey netting, lifebelt, shells and fish. 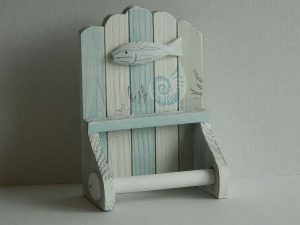 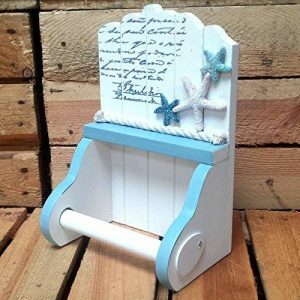 Would look great in any bathroom or seaside home. 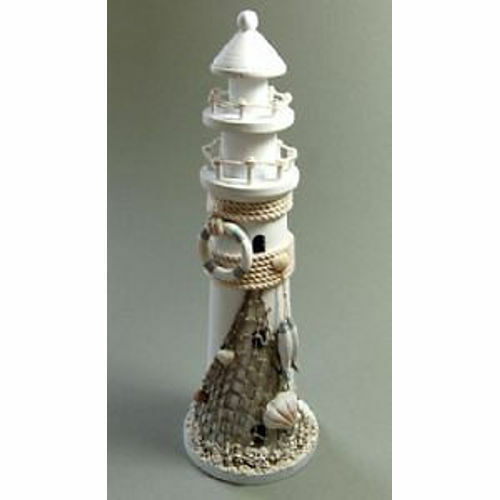 Measures 16″ / 40 cm high and 13″ / 15cm diameter at base.